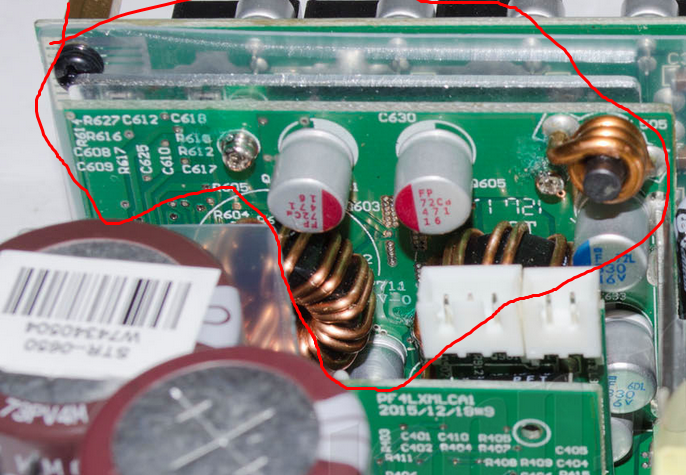 Hey guys, I am wondering if you guys can tell me how would I go about recognizing the internals of a psu (like the rails, DC-DC converters, and stuff like that), Thanks! Where would I look, sorry but I am just confused where to look. The whole guide will be very helpful. Just don't expect you can learn or understand everything in a week. It talks about DC-DC converters but doesn't show a picture, I also don't see anything about finding the minor rails either. Those are really the only things I am looking for, if you guys know of them tell me please, Thanks! This is the old article from the same writer aris. look in reviews and find it. sometimes there are few daughter boards, look for one near the output wires and with coils. Start with this (find it your self). and than go to this. Last edited by none77; 02-16-2019 at 06:13 AM. I think I spotted right, just a beginner.